The Noosa Timber Bedside features a mid-century modern look that perfectly complements the Noosa Upholstered Bed with Timber Frame. 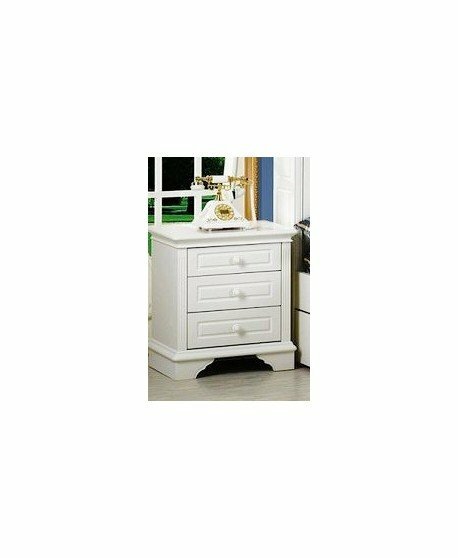 This bedside features two spacious drawers so your bedside essentials are stored within reach. The drawer then uses chrome bow handle for easy access. 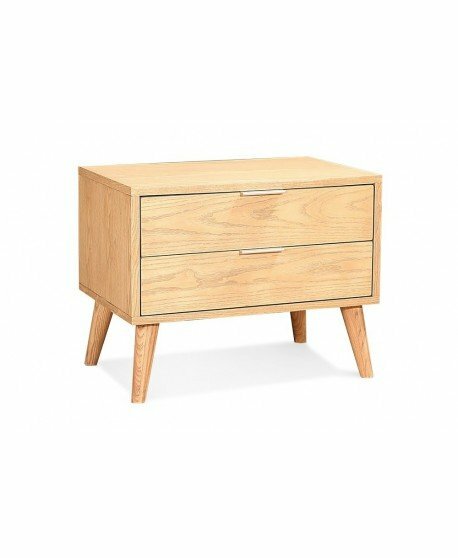 For a modern retro twist, the timber bedside uses a set of slanted conical legs. 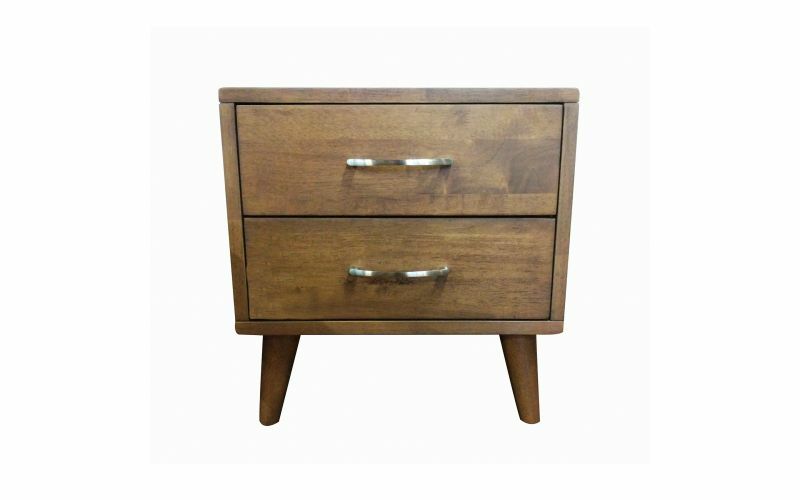 Stained in a gorgeous walnut colour, this timber bedside is a great addition to your bedroom. 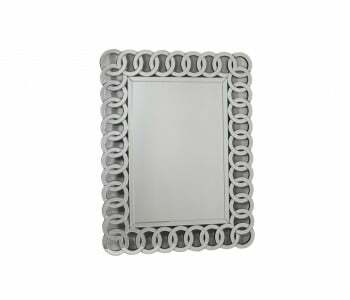 The Noosa Bedside features escellent craftmsnahip that makes it a great bedroom investment. 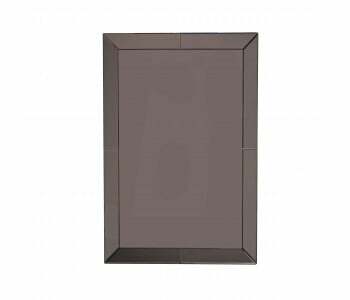 Each panel and leg are expertly contructed and joined for heavy duty durability that lasts. Its drawers uses full-extentsion runners for smooth, easyigliding use. 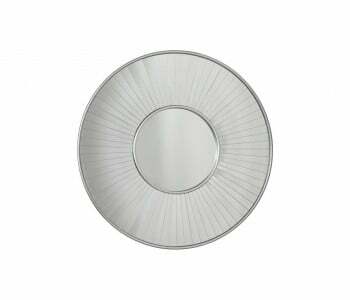 All items in stock are eligble for Next Day Delivery for Sydney Metro Orders. 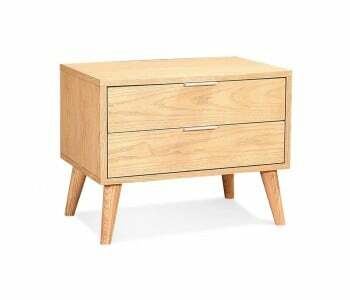 Ask us if you can get your Noosa Timber Bedside Table delivered to you by tomorrow.